Fundraiser by Christian Ready : Spare a dime for Climate Reality! Spare a dime for Climate Reality! 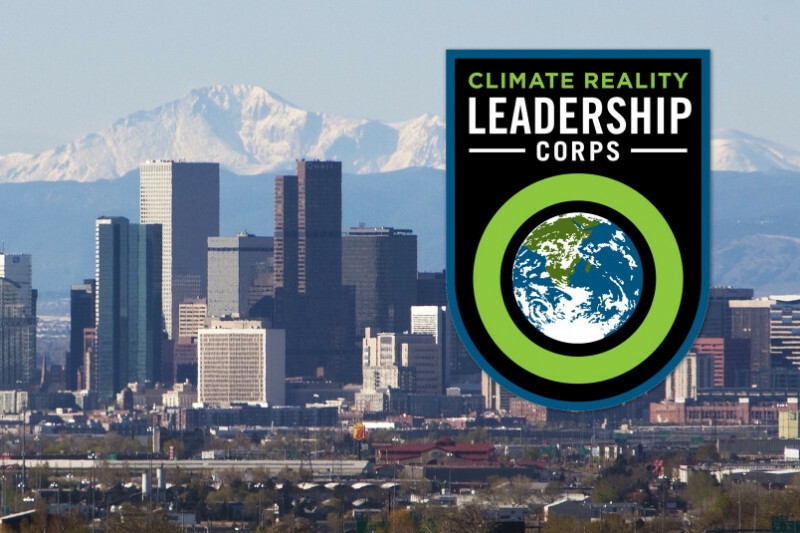 Holy rising sea levels, Batman, I've been accepted to attend the Climate Reality Leadership Corps training in Denver, CO! The Climate Reality Project is a non-profit organization founded by Vice President Al Gore. Part of their mission is to train as many people as possible to become boost the signal, engage the public, and drive change on climate policy. Best of all, CRP is providing this training for free! Climate Change awareness couldn't come at a more urgent time. The White House deleted all references to climate change from its website within moments of Trump's inaguration . Then they moved to do the same with the USDA, EPA, NASA, NOAA, hell even the National Parks Service for crying out loud! If our own government is muzzeled, it becomes even more important for we the people to take action and speak up. As a citizen, scientist, educator, and inhabitant of planet Earth, I figure I'd better get on it. Your support will hep cover my travel expenses, including roundtrip airfare from Baltimore to Denver from March 1−5 , ground transportation, hotel in downtown Denver near the Convention Center, and meals. By my math, I'm thinking $2000 should cover all of the expenses. My undying gratitude at the very least, but I'd be happy to share with you what I've learned. If you have a group or a business that might benefit from the presentation, perhaps I can arrange a visit. Or maybe a Skype call to share with you what I've learned, or...well, we'll figure something out. Thank you so much for reading my message and for your support. If you have any questions, please ask! March will be here soon so the sooner I can get everything sorted, the better. P.S. If you're a little short on cash yourself, I totally get it. You can help in a huge way by sharing this with your friends, family, or anyone who you might think could help a bloke out. Thanks! Here I am. I made it to Denver for Climate Reality training. And it's because of you. You made this possible for me and I don't take your generosity for granted. You've given me an opportunity that I can only hope to repay by taking the actions I'll learn to take, and make it possible for others to follow the path I took - the path you helped to build. Tomorrow the training begins. Time to get after it. Ok, so it's not like weird weather is ipso-facto proof of climate change (or as I'm starting to think of it, as 'catastrophic climate destabilization'). However, this isn't the first time in recent years I've seen weather like this in February around these parts, and it reminds me just how much the climate has, in fact, changed just in my lifetime alone. Ok, fine, a hail storm here, some spring-like weather in the winter there, no big deal, right? Unfortunately, it's not about the weather. It's not about me, and it's not about you. It's really about whether or not we can stop perpetuating the climate crisis that we humans created, and convince our leaders to take serious action to preserve and protect our planet's ability to maintain a stable climate for life to thrive. That's why I'm asking (I know, yet again) for your assistance. On Wednesday, I'm flying out to Denver because you guys have been amazingly helpful. I could still use a little help closing the remaining gap to cover the rest of my expenses, so if you can help me out with a few bucks, I'd appreciate it. If you already chipped in, thank you. If you'd like to, I totally understand. I don't care to ask in the first place, if I'm being honest, so I'm not at all upset. Instead, I simply ask you to share this with others and help spread the word. Severe hail storm in MD. In February???? To say things are crazy busy would be an understatement. But then I realize, "oh yeah, I made a commitment to get to Denver" and I figured I'd better get back to begging for money. Truth is, we're well on our way here, and it's thanks to you helping me out (hence the "we" bit). But we're not all the way there just yet, so I thought I'd ask if you could do me a favor. Can you chip in a few bucks to help me to get out to this training opportunity in March? And - whether you can assist financially or not - share this campaign with everyone you know? I just got a check from an anonymous donor. Your support keeps coming in and fires me up. I can't believe I'm past the halfway mark with just a few weeks left to go! If you can spare an extra dime, or a cup of coffee's worth, it will make a huge difference to annihilating this goal. You're a good man, Christian Ready.